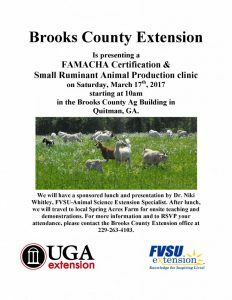 Come out to the Brooks County Ag Building Saturday, March 17th for a FAMACHA Certification and Small Ruminant Production Clinic. 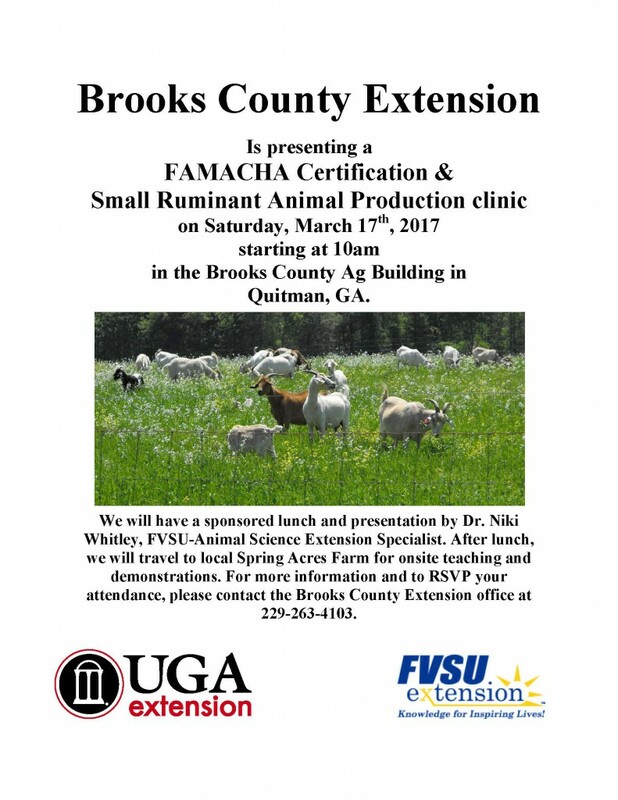 Please call the office at 229-263-4103 to RSVP. Posted in Goats. Bookmark the permalink.